Alaska World Affairs Council and Alaska World Affairs Council is excited to announce the screening of the powerful documentary The Interpreters. The film will last 60 minutes, with a 30 minute presentation and Q&A by Margaret Stock to follow. Over 50,000 local nationals have served with U.S. military and coalition forces since the beginning of the wars in Iraq and Afghanistan. But these so-called invaluable assets have found themselves flung forcibly from one fire into another, having been labeled traitors by their home countries for aiding outside forces, only to find themselves unable to acquire the necessary visa to enter and resettle in the United States. Alaska World Affairs Council is bringing Margaret Stock, Immigration Attorney, former Lt. Col, and MacArthur Foundation Fellow to speak on the film, her experiences, and answer the audience’s questions for a 30 minute presentation and Q&A after the film. 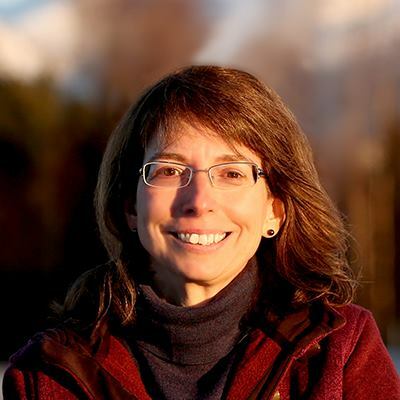 Margaret D. Stock, Lieutenant Colonel (retired), is an attorney with the Anchorage office of Cascadia Cross Border Law Group LLC, where she devotes her practice to immigration and citizenship matters. She transferred to the Retired Reserve of the U.S. Army in June 2010 after serving 28 years as a Military Police Officer in the Army Reserve. While a part-time professor and Reservist assigned to the U.S. Military Academy, West Point, NY, Ms. Stock was temporarily asked to work for the U.S. Army Accessions Command, where she developed and implemented the Department of Defense’s recruiting program, Military Accessions Vital to the National Interest (MAVNI). Ms. Stock also worked on many other issues related to immigration, citizenship, and military service, including the Basic Training Naturalization initiative, which allows immigrants to naturalize at military basic training sites. In 2008, she earned the American Immigration Lawyers Association (AILA) Pro Bono Award for founding the AILA Military Assistance Program (AILA MAP), a pro bono program to help military members, veterans, and their families with immigration law matters. She was named a MacArthur Foundation Fellow in 2013 for her work related to immigration and national security issues. Ms. Stock has testified before Congress numerous times on issues such as the DREAM Act, the guestworker program, and the Hinder the Administration’s Legalization Temptation (HALT) Act. She earned her undergraduate degree from Harvard-Radcliffe and holds a Juris Doctor from Harvard Law School, a Master’s in Public Administration from Harvard Kennedy School, and a Master’s in Strategic Studies from the Army War College. Ms. Stock is admitted to practice law in the state of Alaska, the U.S. District Court for the District of Alaska, and the U.S. Ninth Circuit Court of Appeals. She has also served as a member of the American Bar Association’s Commission on Immigration. She authored the book “Immigration Law & the Military,” published by the American Immigration Lawyers Association. Unfortunately, we cannot offer free admission to students for this event. You can register below, or the day of the event at the door!